For someone like me, a native of Trier or Augusta Treverorum, as the city was called in Roman times, the move to another ancient Roman city, in this case Sofia, Bulgaria is not a big thing. Sofia was called Serdica (or Sardica) then, possibly named after the Celtic tribe Serdi. Constantin the Great is supposed to have said “Serdica is my Rome”. And here we have the third city in which I lived and which belonged to the Roman empire. But he did not make Serdica the seat of his government. For this he choose Byzantium, later renamed Constantinople. By the way I lived in another Roman city: that was Vicus Bonnensis or Castra Bonnensis, the present day Bonn, my alma mater where I studied agriculture. If I had lived two thousand years ago, a move from Trier to Sofia would have been a move from one province of a wast empire to another. Latin would have been the lingua franca. I would have had access to all the Roman infrastructure common in those days: a bath house, a circus, an amphitheater and so on. Both my native Augusta Treverorum (the city of Augustus in the land of the Treverer) and my current home Sofia got their name from the native Celtic populations (the Treverer in my case). Both were major cities of the Roman Empire. 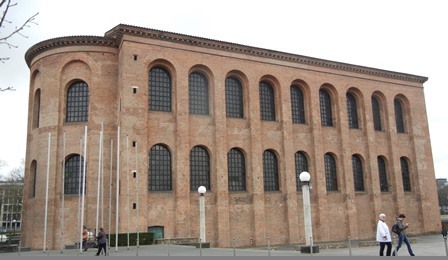 Trier was located in the Roman province of Belgica, Sofia in the province of Thrace. Both places history is tied to the Roman emperor Constantin the Great. There are also differences. 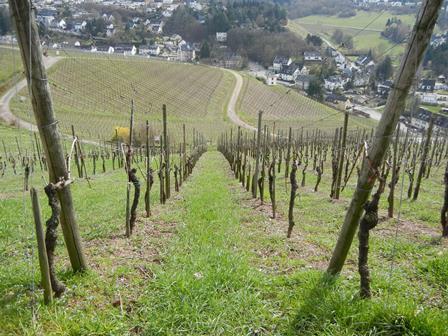 Augusta Treverorum is famous for its wine cellars and its wine production, vineyards reaching deep into the city. Sofia does not have vineyards in its vicinity. However, the old province of Thrace was famous for its wines, and so is present day Bulgaria. I admit that there is still a lot of room to improve its produces’ fame but more and more Bulgarian wines are available in wine shops in other parts of Europe, especially Germany and England. 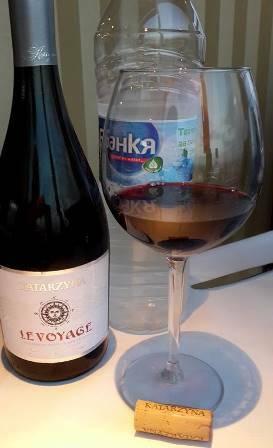 Needless to say I use my spare time here in Sofia to explore the many wines of Bulgaria. My welcome present by my colleagues consisted of a wine guide, Di Vino 2014. I would like to invite you to come along on this journey and explore the richness of the ancient land of Thrace, and it’s contemporary wines. You are currently browsing the The Man from Mosel River blog archives for the day Friday, September 19th, 2014.